The effectiveness of mobile electronic devices in weight loss has been documented in a number of studies. Undoubtedly, with the advance of mobile technology it’s become easier to eat healthier, and pursue a better health and a more beautiful body. Speaking of a beautiful body, are you looking to lose weight? Do you own a smartphone? Then you are in luck. 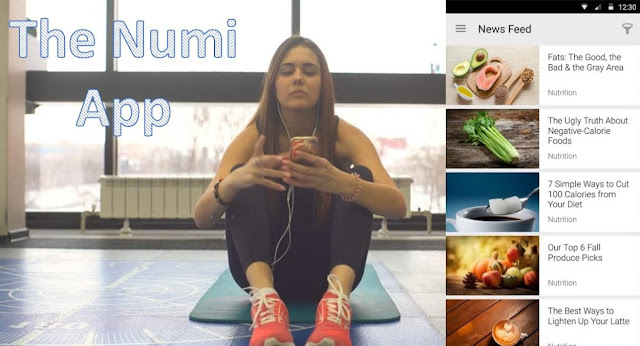 With the Numi app by Nutrisystem, you should be able to achieve your goals of a more attractive body—complete with six pack abs, enviable biceps, and a slim frame—in no time. Mainly, Nutrisystem works as a food delivery program designed for clients in need of help with their weight loss regimen. After signing up, the company will send you meals which are portion-controlled straight to your home. These meals will help you lose weight, much in the same way as the other millions of people who've achieved their ideal weight through Nutrisystem. But, Nutrisystem is not like the common food delivery programs. It understands that modern people are busy and need all the support they can get at the palm of their hands, so that they have access to information all the time—when they work, when they drive, when they travel, even when they are dining out. Mobile applications have the technology that can provide access to information on the go. And this is why Nutrisystem has created the Numi app. There are tons of tools for people looking to manage or lose weight. These apps will prevent you from joining the more than a 3rd of the US population battling overweight and obesity problems (as per statistics released by the Center for Disease Control and Prevention). To lose weight, all you have to do is be physically active and improve your diet. However, since this might be hard to do on your own, the best solution would be to download the right weight loss app. A Nutrisystem creation, Numi supports people through their journey to weight loss. You can use this app even if you are not on the mainstream Nutrisystem plan. Before we delve into the features, first get Numi by downloading it into your Android or iPhone or by creating an account at https://www.numi.com/users/signin to see how the application works. For starters, the app will connect you to an article database filled with delicious recipes, the latest nutrition news, and dieting tips. The database is called Leaf and can be accessed through Leaf.nutrisystem.com. With the app, you only need to enter your starting weight and goal weight, your gender, age, and level of physical activity. The app will calculate the maximum number of calories your body needs to help you reach your ideal weight. Numi also has an exercise log where you can enter the duration and the type of workouts you engage in daily. The app will calculate how many calories are burned after each workout session. You can also key in the foods you eat on a daily basis, as well as your water intake for similar calculations. The app comes with tech support by a professional team of weight loss experts. You'll also get moral support via Numi's Live Chat feature. You can even ask for a coupon and enjoy substantial savings on your next order. Numi will prove meal recommendations from 300 restaurant chains and 12,000 recipes – each of which is based on the preferences you set up. The app works well with Apple Health, Fitbit, and Jawbone, among others. Over and above everything else, this Nutrisystem app will help you lose weight faster than if you decided to go it alone. It even creates charts where you can observe your progress over a given period, as well as how your body and size change over time.